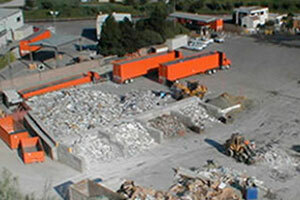 Materials dropped off at the Ventucopa Transfer Station are processed at the County's South Coast Recycling and Transfer Station. Workers sort through the loads to recover recyclables, such as cardboard, scrap metal, untreated wood, cans, bottles, and even mattresses. Yard waste (including Christmas trees) are also accepted for recycling. We estimate that 50% of the waste generated from Ventucopa is recovered and recycled through these efforts. In addition, this facility accepts old electronics and appliances, which are also transported to the County's South Coast Recycling and Transfer Station, where they are consolidated and shipped to a certified recycler. Examples of electronics accepted are computers, laptops, monitors, printers, TVs, copiers, scanners, fax machines, VCRs, DVD players, small appliances (e.g. vacuums, hair dryers, shavers), DVDs and CDs, audio and video cassettes, vinyl records, cell phones, MP3 players, holiday lights, and video game systems. This facility is open on Thursdays and Saturdays from 11:00 a.m. until 5:00 p.m. There are no tipping fees at this facility.